While everyone was eager to see what Samsung had to offer at its June 20 event which was said to be a mix of the Galaxy line and ATIV range, the company didn’t fail to impress with its new dual-booting tablet. 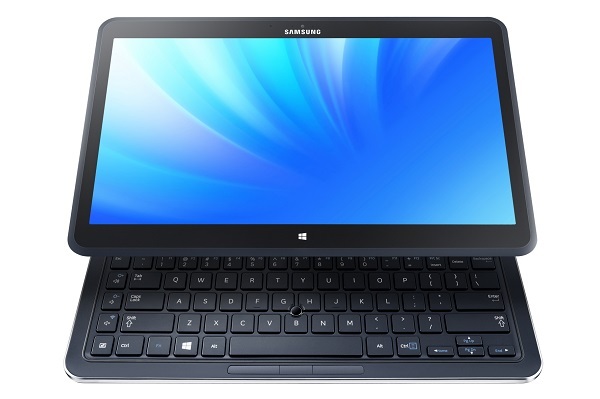 The Samsung ATIV Q has a massive 13.3 inch display with a very high resolution of 3200 x 1800 pixels. The device is powered by a Haswell-based Intel Core i5 processor along with 4 GB of RAM and a 128 GB solid state drive. There is also the Intel HD Graphics 4400 to provide superior graphics. While the exact details of the camera are not known, the front facing camera is capable of taking 720p videos for chats. Similarly, the battery is said to last for as long as 9 hours. The interesting feature of this tablet which is rarely seen elsewhere, is its ability to run both Windows 8 and Android 4.2.2, that too simultaneously without needing to reboot in order to switch between them. The S Pen digital stylus seen in the Galaxy Note devices has been added to the ATIV Q. Besides, it also features a body made of durable magnesium, a unique folding form-factor and it has a built-in QWERTY keyboard.